We planted the vines were between 2005 and 2006. To achieve the highest quality, low yields per vine and a natural balance, we planted at high density, with the spacing of 1,80×0,80 mt to reach nearly 7000 plants per hectare. Regarding the variety our terroir instinctively inspired us in two directions. 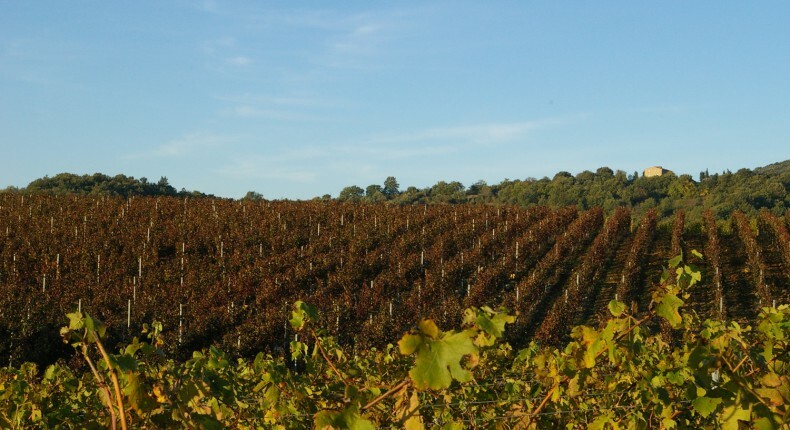 Sangiovese and Vermentino as traditional grapes of these areas, Cabernet Franc, Syrah and Viognier as international, with the addition of Alicante Bouschet, which is traditionally and often used in Maremma. The vineyards despite being in one body, are located on three different adjacent hills, which stretch in a line from north to south, in a unique humpback. This allowed us to choose sides and different exposures when planting. Vineyard of Borea 1,3 ha. Along the slope, facing north-east all dedicated the Viognier. The land is particularly mineral and stony, it warms during the day, and then cool down sharply at night, where benefits of the cold breeze from the north, typical of the strong thermal inversions that characterize the summers here in Barbiconi. The exposition itself tends to slow the early ripening of Viognier. We chose a mass selection, directly selected in Condrieu. Vineyard of the Piche 3,5 ha. Located on the second hill, surround the winery. From the crest of the slope degrades west, south-west. Here are the vines of Sangiovese and Syrah, pruducing the grapes for the blend Fillide, and all the Cabernet Franc. Vineyard of Levante 0,4 ha. At the extreme east of the property is a small vineyard of Syrah. The slope gently sloping south-west. Vineyard of the gladioli 1 ha. Covers the east slope of the third and south hill. The vineyard from the crest down the slope exposed just to the east. Here is Alicante Bouchet and a part of Vermentino. In the spring between the rows bloom many wild gladioli, that color of pink the field. Vineyard Romano 2 ha. 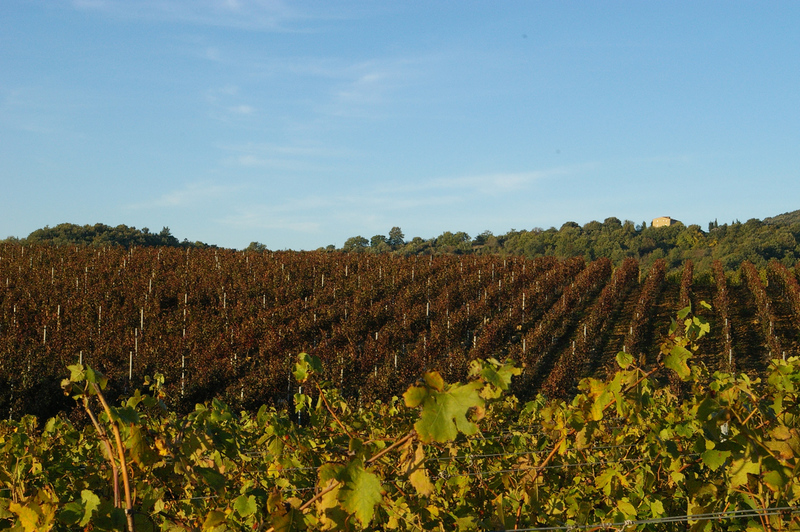 The vineyards are located on the slope facing southwest. Here are the selection of vines of Sangiovese becoming Ciparisso and the selection of Syrah becomeing Pitis. Is starting from this point that soils are even more stony and limestone- rich. Vineyard of Punta 1 ha. Sunny, and adjacent to the Vineyard Romano is flanked by forest. It is also characterized by extremely stony and limestone soils, is divided between Vermentino and Syrah that becomes Pitis. Vineyard of the Travicelli 1 ha. Leaning against the of the hill of Travicelli is entirely dedicated to the Vermentino. Long and narrow is always breezy and take advatage from the night cold air that comes directly from the woods around.